Synopsis It's a fact that we all sometimes feel lonely. Playing sport can be a very good way to escape loneliness to some extent and lawn bowls is an excellent sport to interrelate with people. The coaching manual, Y-B-Lonely? . . . 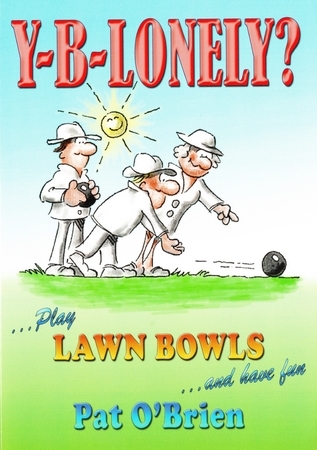 Play Lawn Bowls and Have Fun, to give it the front cover's full title, introduces the new bowler to the wonderful game of lawn bowls. The author, Pat O'Brien, played competitive bowls for over 50 years until well into his 80s. His highest achievements included representing Zimbabwe (formally Rhodesia) at the 1982 Commonwealth Games in Australia, as well as at World Bowls and other international competitions. Between 1976 and 1982 Pat also won some of his country's highest honours in lawn bowls singles. Pat also played against some of the world's top bowlers of his era, names like Willie Wood of Scotland, Doug Watson of South Africa and Bill Jackson of Rhodesia. He has put all of his experience and bowling ability into this coaching guidebook which should give valuable insights to beginners and experienced bowlers alike.